More of your questions about the recruiting process answered. 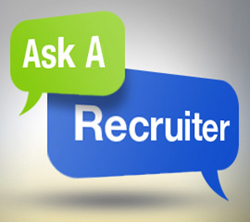 Last month, a few of our top recruiters answered some of the questions readers had about recruiting. This month we are answering the rest of those top questions. I’ve been asked the following: “With all your experiences, how do you attribute your successes?” What are good answers? The answer to this question is going to depend on your individual experiences. There aren’t any specific “good answers” our recruiters can provide here, since everyone is different. However, there are a few topics you can cover and adapt to your personal circumstances. “I think good answers are ones that are quantifiable! For example, an accounts receivable person could say that they were successful in their last role by cleaning up the aging reports and collecting over 1 million dollars in 2016.”—Shannon Jacoby, Bellingham, WA. “There are three main inspirations I see great applicants come up with: other people (for example, mentors, former managers, or co-workers), luck (being at the right place at the right time, working with the right person or company, etc.—they show how they turned a random moment or connection into an opportunity to succeed), and commitment (when they get knocked down, they come back up and try again no matter how many attempts it takes).” —Heather Buster, Texarkana, AR. What are the behaviors recruiters and hiring managers look for in an interview? Although much of the interview focuses on testing your hard skills (your job experience and abilities), your soft skills are being tested as well. How do you handle stress? Do you make the proper amount of eye contact? How does your personality fit in with the company culture? Interviewers look for certain cues for insight on how you might function as an employee. “I look at eye contact and body language. Is the candidate staring out of the window or are their eyes darting around the room? Also, how do they treat the front office coordinator? If you’re rude to my staff but play nice with me, that says something about your character.”—Desiree Stevens, Littleton, CO.
Do staffing companies offer insurance for temporary and evaluation hire workers? The answer to this one depends on the staffing company, as benefits can vary. “I can’t speak for all staffing agencies, but Express does have insurance available for temp and contract to hire positions. If the position is a direct hire to the client, then it will depend on what the client offers.”—Kevin Nissen, Oklahoma City, OK.
“Yes, many staffing companies offer benefits to their employees. You can also check online at the affordable care act website for available insurance plans if your company or agency doesn’t offer benefits.”—Heather Buster, Texarkana, AR. We hope you enjoyed this two-part series! Please let us know if you have any other questions or concerns! Previous Post Poll Question: How Should Your Company Give Back? Next Post Poll Results: What Benefits Do Employees Crave? My ? there are a lot of senior professionals looking for opportunities in the workplace. However we continually come across HR and recruiters who cannot see the value beyond our age. We are the generation responsible for a lot of major changes and opening doors to new areas once only open to males. This is a tough question to answer, since every interview situation is different. However, we previously wrote this article about handling age discrimination in the job search. Hope it helps, and thanks for the comment!